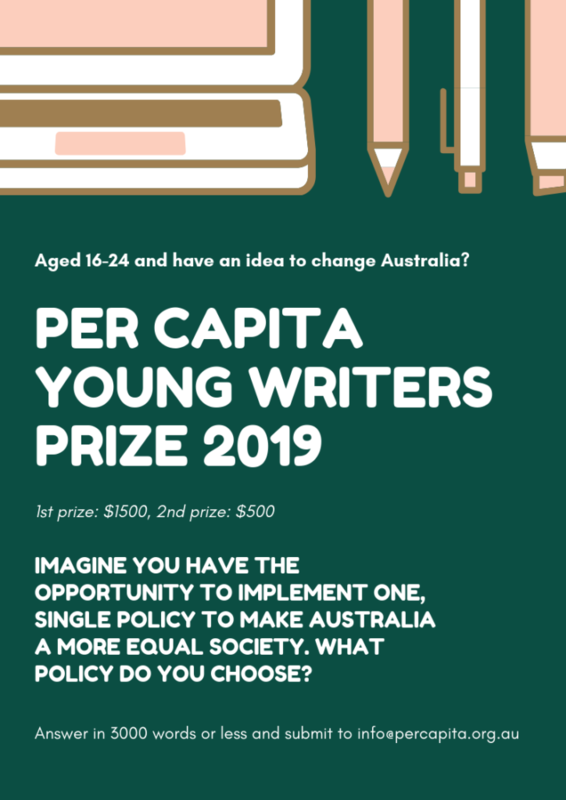 The prestigious Per Capita Young Writers’ Prize is now open for submissions. Do you have an idea for fighting inequality in Australia? Do you want to win $1500? We can’t wait to hear your thoughts. Submit to info@percapita.org.au by the end of April. Answers can be academic essays, opinion pieces, or personal reflections – no rules on format. You don’t need to have specific knowledge of the policymaking process – just hit us with your best idea. PS: aged out of this particular opportunity but know a young person with a drive to fight for a fairer Australia? Let them know we want to hear from them!